Daniel Guy, 45, of George Street, had admitted the crimes at an earlier hearing but was in court for sentencing. 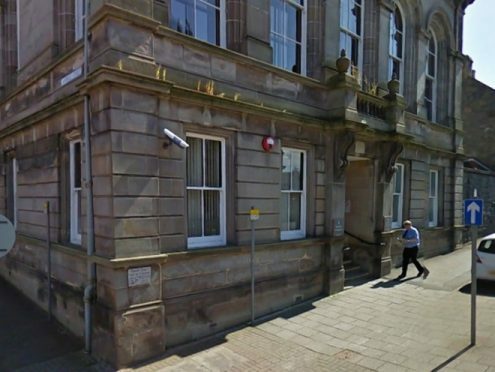 Procurator fiscal Eoin McGinty told the court that Guy went to the island on June 21 and took his former employer’s car to get to his house, knowing that his employer was off the island for work. Prior to this date the Guy sent text messages to his former employer threatening him, including saying his fingers would be cut off if his wages for work were not paid to him. Guy was seen by a number of witnesses driving the complainer’s car from the ferry to the house. “About an hour later they saw him driving away on a quad which they saw hit the verge and go over on its side, and they saw the accused fall off. “He then asked them for a lift to the ferry. The witnesses said Guy was under the influence of drink or drugs. “The complainer was informed and made his way back to the homes and noted that someone had entered his property, and his TV was smashed and was off the wall. Sheriff John Herald said: “You dealt with this situation by taking matters into your own hands – something you should not have done.